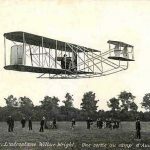 A Lesson From The Wright Brothers … How to Give Your Business Wings! 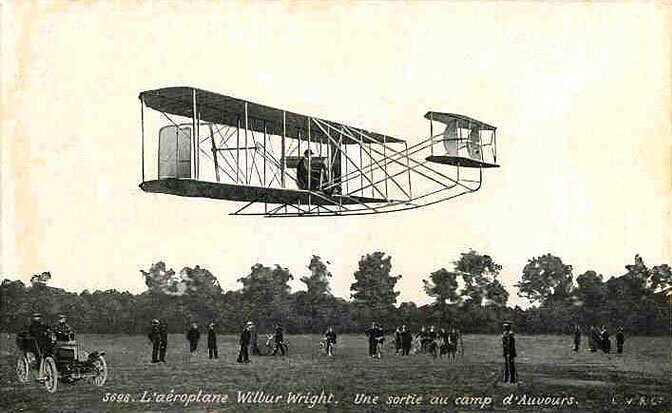 In 1903 Orville and Wilbur Wright were struggling to fly the world’s first airplane at Kitty Hawk, North Carolina. At the same time another man, Samuel Pierpont Langley, was also trying to build an airplane — with the assistance of an entire staff. His assumption was that if he put a big enough engine on the airplane, he could get anything off the ground. He focused all his effort on that one project: creating a super-powerful engine for the plane. Amateurs “SELL” –> Professionals “SORT”. Step #1 — Build a prospect list. Step #2 — Build a relationship with your list. Step #3 — Market to your list. option #1: have people eagerly contacting you, cash in hand, about your products or services. Online Business Myth 7 "You can make money in this business with next to no money down…"
Never a truer word was spoken. It applies in this context as well. Online Business Myth 6 "You can make money working as little as seven hours a week…"
Ahhh…another clever marketing ploy to appeal to the “get rich quick”, “time poor”, and just plain lazy prospect. Now this is simply a bald faced lie. Again, think about this logically. Every person who steps into this industry for the first time (especially if they have no previous business experience of any kind), is faced with an enormous learning curve. We are not exaggerating, it is huge. Less a curve, and more of a Mt Everest in fact. Online Business Myth 5 "We hold your hand and guide you every step of the way…"
This particular myth is twofold in its deception. Try and remember for a moment what it is that you are doing here. Business. And in business, as much as people in the same industry might network with each other and discuss what is going on in their particular market, do you really think that people who are in direct competition, in the same market place, are going to share all their secrets? Online Business Myth 4 "We have everything you need to be successful in this business RIGHT HERE…"
This one is a biggie from a mindset and personal development perspective. All MLM and Network Marketing companies will obviously put their best foot forward in their bid to sign you up. And to be honest, it would be a spectacularly stupid marketing tactic to point out all their short comings before you handed over your credit card and signed on the dotted line. They want you to believe that you cannot fail if you join them, and the “secret ingredient” to your success or otherwise, is what they have to offer. Online Business Myth 3 "There is NO selling involved in this business…"
MLM companies know that most people hate the thought of selling anything, and the reason why this is so, is because their consultants are not taught how to sell effectively and professionally. But use your head for just a moment. What is a business? Any business? A business is an environment where goods, services or information are exchanged for money. Yes? And there is nothing wrong with this process. There is nothing terrible or shameful about accepting money in exchange for quality products or services. I’ll digress for a moment and say that if you have a problem with this concept, I would suggest that you possibly have a little work to do on your mindset about money (this is terribly important – money issues will hold you back in your business if left unaddressed). The fact is, all business is about selling. There is nothing wrong with that. But consider this. People hate to be sold. They do however, like to buy stuff. Online Business Myth 2 "These products are so incredible and life changing, they virtually sell themselves…"
And this one is a beauty. In fact, I think this is the most dangerous myth of them all. It ties in perfectly with Myth 3 (which I will get to next). If you have been involved in MLM before, or if you have made inquiries into a company, you are highly likely to have been told something like this. “These products change people’s lives. Imagine how many people will want to buy these products from you when they see what they can do for them“. Online Business Myth 1 "This business is so easy ANYONE can do it…"
And so to “Online Business Myth 1”. Sorry to burst your bubble so early in the piece, but such a business simply does not exist. If you have been involved in the home business industry in an MLM or Network Marketing before, no doubt this was almost the first thing your ‘sponsor to be’ said to you. By the way, usually this person is quite new to the industry themselves (they tend not to hang around too long before they discover that they too have been mislead, or they have maxed out their credit card – whichever comes first). Ah! The Beauty Of The Economy! Wouldn’t you rather think we should all take matters in our own hands? It’s REAL easy to not stop and center myself first. What positive thing happened yesterday? What positive thing happened today? The Strategic Coach guys finally got through to me. A couple of months ago I started a new habit. I take out this teeny little Moleskine note book, it’s maybe 2 inches by 3 inches – and I write down something positive. First thing in the morning. Is Internet Marketing A Pyramid? Well, here is a great little video that will answer just that! We all have been confronted with this question and because we have been trained from an early age to believe the stupid “Trickling Effect” lie, we should not be surprised that our friends and family think we are going crazy. We should therefore approach them only once we experience a measure of success. For Excellence, Against Mediocrity in 2011!!! We are FOR individualism, accomplishment and excellence. We are AGAINST the mediocrity, self pity, condemnation and discouragement of the news media and of “normal” people sleepwalking through life. We are FOR alchemy. We believe that there is everywhere lead waiting to be transformed into gold. Opportunity hides literally under every rock and shade tree. We are AGAINST scarcity that says that everything you receive was forcibly taken from somebody else. Entrepreneurship is about making new pies, not dividing up old ones. We are FOR you, regardless of mistakes you’ve made. Whatever stupidity spasms you’ve had in the past don’t matter. If you owe $100,000 and you’re scraping change out of your car seats for lunch today…. if every time you pick up the kids at your ex’s apartment you’re accused of being a devil…. we are still FOR you. How Can I Build My Business If I’m On A Budget? What if I could show you (literally) how to generate “endless” leads and build ANY home business, EVEN if you are on a budget or have limited funds? I’ve partnered with industry expert Mike Dillard and his breakthrough FREE videos reveal exactly how this can be done and IS being done by countless members … day in and day out. Would You Seriously Buy A Vehicle Without Checking Under The Hood? Joining a network marketing company, on the basis of “it’s such a good product” (like I almost did) is the caryard equivalent of buying a van without checking under the hood. Let me explain. Like it or not, the primary purpose of any business, network marketing companies included, is to move product. Similarly the primary purpose of a van is … (you guessed it) to move product. Trouble is, most companies offer a great “looking” vehicle, but on closer inspection, the home business owner finds it doesn’t have an engine capable of driving sales. You pay your money and get your van back home — loaded to the brim with product, hopes and dreams. You put the key into the ignition, turn it clockwise and … click … nothing … It won’t go anywhere. The van you bought won’t move, let alone move product. It’s a shell … a souffle. All hot air. The used car salesman didn’t say anything about this? So what do most people do? They push their van around the block a couple of times, hoping it will somehow gather momentum. They try putting more fuel (money) into it. But it doesn’t make any difference. In the end the clever ones realize they have to buy or build their own engine (and then cross their fingers that it works with their particular vehicle). Meanwhile, the company puts on “rah rah” training sessions and meetings all about their “products” and their “success stories”. Of course, they rarely mention anything useful about driving sales. This is what you really need to know. The core problem here is this. When looking for an opportunity, most people only focus on the product or service they will be selling. This is natural and understandable (the companies bank on that). But it is a HUGE mistake. There are some incredible products out there. There’s no doubt about that. But the product is only half the equation. If you don’t believe me try ordering a pallet of any product in the world. Have it delivered to your garage. Are you rich yet? It won’t move itself. It needs to be marketed (no matter how good it is). And no amount of affirmations, no law of attraction, no “awakening” or “abundance mentality” is going to shift that sucker. You see, the most important — and the most often overlooked — criteria for choosing a business opportunity is being able to crawl under the hood and check that it has a powerful and automated sales and marketing machine. Without an engine to drive sales, most home business owners quickly find themselves at the side of the road — alongside the rusted out wrecks of the 97% of other independent distributors whose dreams stalled. They never realize that the bright and shiny “shell on wheels” they were sold was never going to get out of first gear. And that it wasn’t their fault. Meanwhile the companies and their “heavy hitters” ignore the wreckage — somehow managing to put it to the back of their minds, as they welcome a new round of eager members ready and willing to test drive a shiny new van. There are so many ways to earn a living online. You might as well learn from the best!